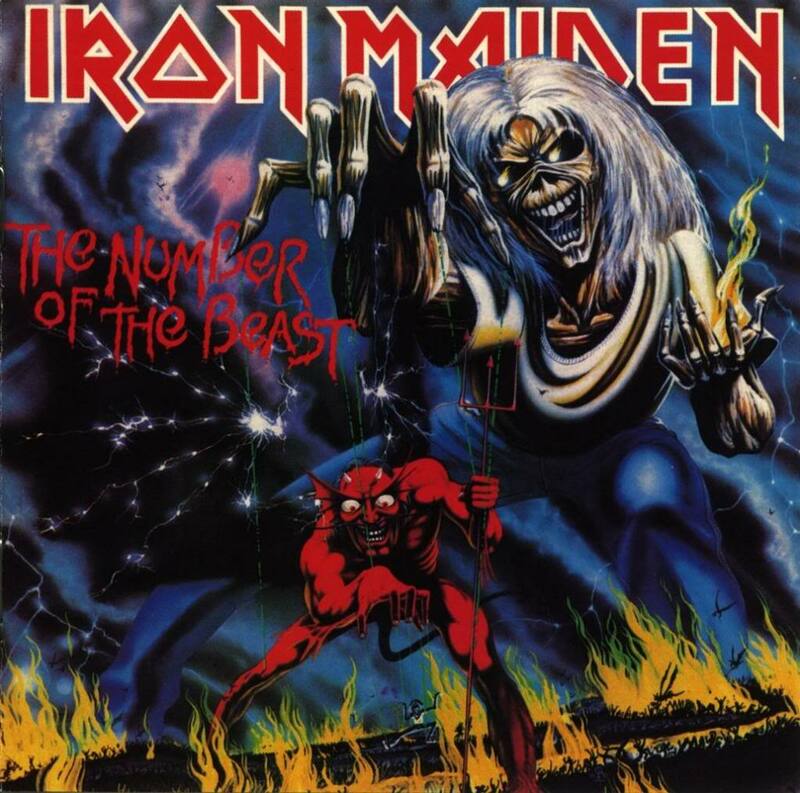 Iron Maiden’s ‘The Number Of The Beast’ has been voted as the best British album of the last 60 years in a new poll. Another big surprise on the poll is the second place. Depeche Mode’s “Violator,” while The Beatles took 4 albums to the top 10 but did not make it to the first. Other albums that not made it to the top 10 but were also nominated are The Clash “London Calling”, Radiohead “OK Computer”, Led Zeppelin IV, David Bowie “The Rise and Fall of Ziggy Stardust and the Spiders from Mars”, Black Sabbath self titled album, among many others that are part of every album collection. 3. The Beatles – ‘Sergeant Pepper’s Lonely Hearts Club Band’? 6. The Beatles – ‘Revolver’? 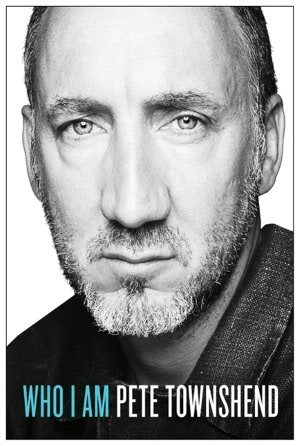 After more than a decade in development, it sounds like Pete Townshend is finally ready to release his long-discussed memoir. 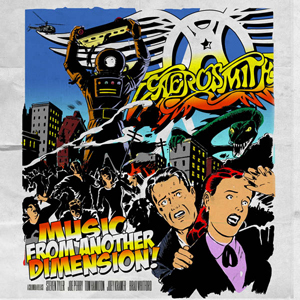 Aerosmith have revealed that the new album will be titled “Music from Another Dimension” and the release date is August 28. This album will be the first studio album since 2001’s “Just Push Play”. 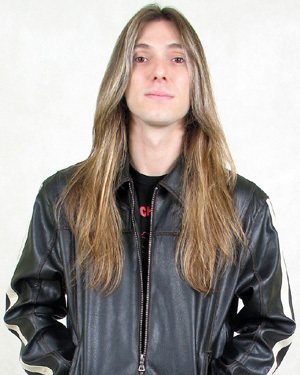 Edu was the replacement of Andre Matos in the band in 2001, among with Paul Di’Anno’s drummer Aquiles Priester and bassist Felipe Andreoli, they joined the band in 2001 and created the album Rebirth which was actually the rebirth of the band. “There comes a moment in a man’s life when it is necessary to make a radical decision in order to move forward with dignity and renewed energy. “I’m in a very happy moment, where now, at age 40, I’m fulfilled and incredibly satisfied to have succeeded in making almost all my personal and professional dreams come true. “I have a beautiful family, many wonderful friends and fans who have followed me for over 20 years and a lasting career with more than 15 albums released, several world tours and thousands of copies sold worldwide. “I am a lucky person to have made ?it this far, singing Heavy Metal and been around the planet playing the music I love the most. “I’ve been thinking for some time now, about the path to follow and finally came to the conclusion that it is time to take the more natural road. “It is with a mixture of relief, joy and sadness that I have to declare that from today on I am not the voice of ANGRA anymore, I’m leaving the band already missing a lot of what we built together, specially the happy times of Rebirth and Temple of Shadows. I will never forget everything that we experienced from good to bad times, after all we must always look at the good side of things, even when things are most difficult. “I am eternally grateful for those 10 years of many victories and for all the opportunities given to me, I wish them luck on their journeys. “Whenever they want or need I will be around and ready to support them! I am and will always be very proud of our history! My life is music and music is the food to my soul. I have many plans and projects for the future! Some of them are already well established, strong and generating excellent results and so, they demand and deserve my full dedication, and of all the people involved in it. That’s why I also want to announce that Felipe Andreoli is not the Almah’s bass-player anymore! He will keep working only with Angra and his other projects! here is an awesome full concert of the band in Sao Paolo. Enjoy! 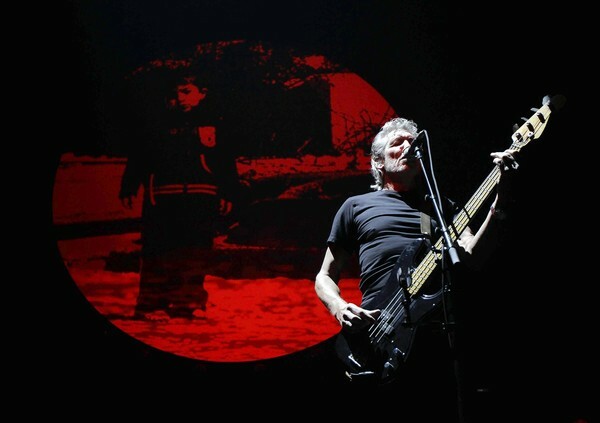 Roger Waters’ THE WALL tour was originally scheduled to wrap up in Philadelphia on July 14, but he has had a “little” change of plans, adding another brick in the wall. The very last show on the tour now will be in Quebec City, Quebec at Fields of Abraham on July 21 where Waters intends to make a record in music history books and erect the biggest wall to date ever build for a show by doubling the original size. Lucky Canadians. you have something else to enjoy. Tickets will be available to the general public beginning on June 5 here, or fans can register on RogerWaters.com for a limited number of priority tickets (wristbands) that will be available in advance of the public sale for fans who register on between 9:00am on Wednesday May 23 and 9pm Thursday May 31. The Day Tripper will be covering the event In July 12 in Washington D.C. and will be posting a review of this event. 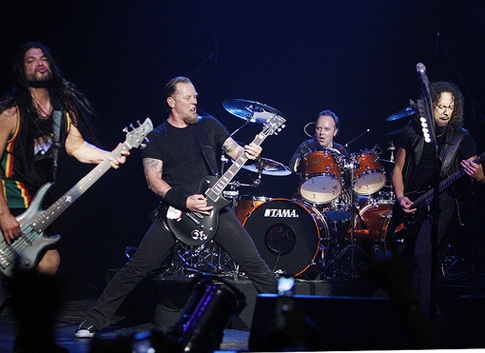 Metallica’s August 24 concert at Rogers Arena in Vancouver, British Columbia, Canada will be filmed in 3D for the band’s upcoming 3D feature-film project. my fellow Canadians, enjoy the moment. The film is going to be directed by Award Wining Nimrod Antal and will be produced by Charlotte Huggins. This is something worth watching, thou I have some bad feelings about watching Robert trujillo walking like a crab in 3D. 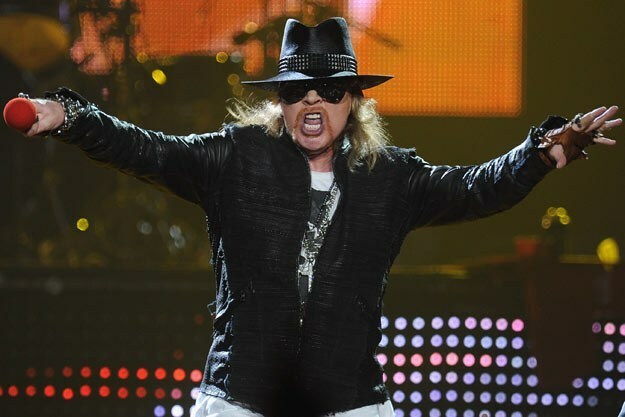 Axl Rose haven’t had a good time lately when it comes to accidents and scandals made by himself. After the whole drama of the Rock and Roll Hall of Fame Induction Ceremony, he fell while partying in Russia and the next day tweeted a photo of a nasty bruise with the captions “Can u say hematoma?”. Well, this past Sunday show in Liverpool wasn’t a pretty night for the Guns N’ Roses front-man who, as usual, came late into the stage. The crowd threw a plastic bottle to the center stage during the beginning of “Welcome to the Jungle” and Axl stopped the show and threatened to leave and not perform for them. Then he started the song over again and after that incident the show went through as a normal Guns N’ Roses show. 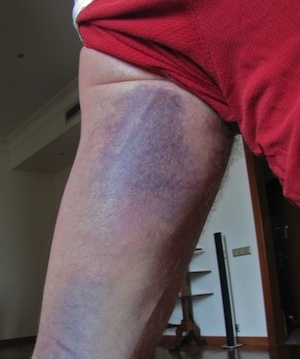 Accidents is the curse that have been haunting Axl since the beginning of the tour and Sunday was no exception. At the end of the show, when he saying goodbye to the crowd he fell again. Fortunately it wasn’t anything big. Axl… Please be more careful when you walk around. Sabbath Bloody Sabbath. 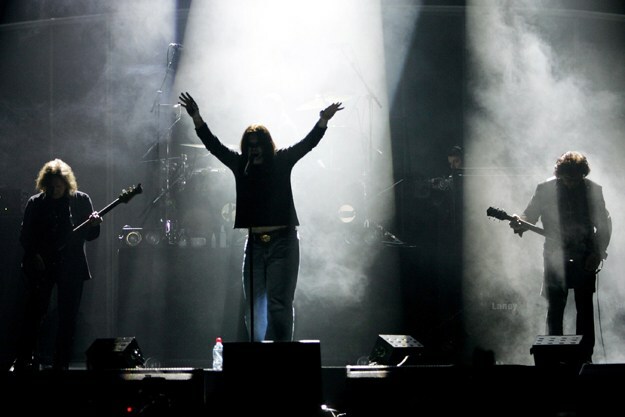 Black Sabbath returned to stage last Saturday. After the “Bill Ward Crisis” and the whole drama on the reunion of Black Sabbath, they finally returned to the stage at the O2 Academy in Birmingham, England for their intimate show to a crowd of about 4,000 people in the town that saw the birth of Metal. This show was definitely a warm up for the Metal Legends, and having a intimate show in their hometown. With only 4000 lucky people that got to see the show that sold out 10 minutes after the tickets were out. TOmmy Clufetos, was the replacement for Bill Ward, and it wasn’t a problem for him getting in the back of the stage and perform with Sabbath since he is the current Drummer for Ozzy’s Solo band. The next shows performed by the band will be at the Download Festival and at Lollapalooza later in August this year in Chicago. 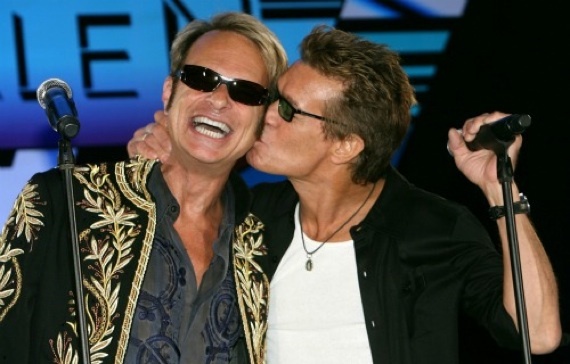 First of all, Van Halen are getting along very well, is hard to believe on any Rolling Stone article you read these days. Claiming that the band “hate each other” and that they were “arguing like mad” is just another non-sense rumor made up by the magazine. The 30+ shows of the second leg on the tour were not canceled, they were just simply postponed and they will announce later when are the new dates comming up. if you got your Van Halen ticket, and were part of the unfortunate ones that were whining about it, make sure to hold on that ticket. Van Halen is going to perform for you. The reasons for postponing those dates are due to exhaustion of the members. They are not kids anymore, (well, Wolfie is a still a kid) and they have been working on “A Different Kind of Truth” Album, shooting the “Tattoo” video, and non-stopping touring. they deserve the break. Here is the video were David Lee Roth talks about postponing the tour.